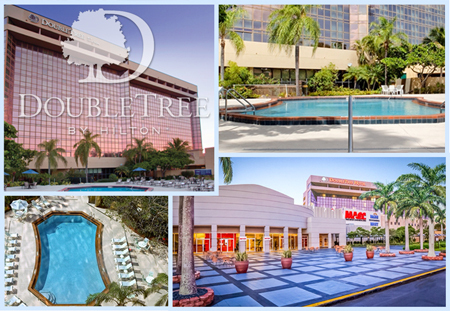 Announcing that the 28th annual Miami Pen Show is booked and ready to go! 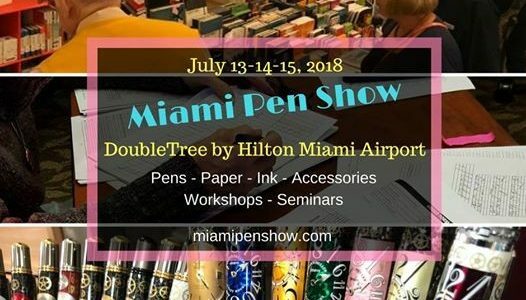 The Miami Pen Show 2018 will be held again at the DoubleTree by Hilton Miami Airport & Convention Center July 13-15, 2018! 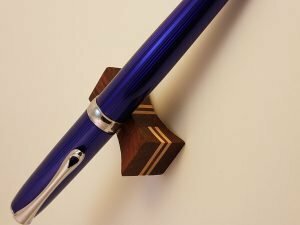 It will be three full days of buying, selling, and trading the world’s greatest fountain pens, rollerballs, ballpoints, pencils, and anything else that writes. 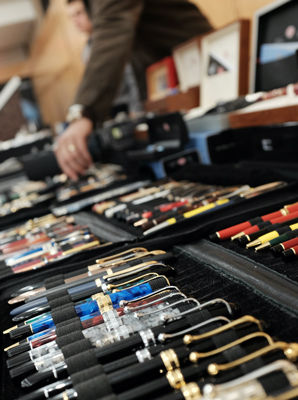 The 2018 Miami Pen Show will be full of modern and vintage dealers. 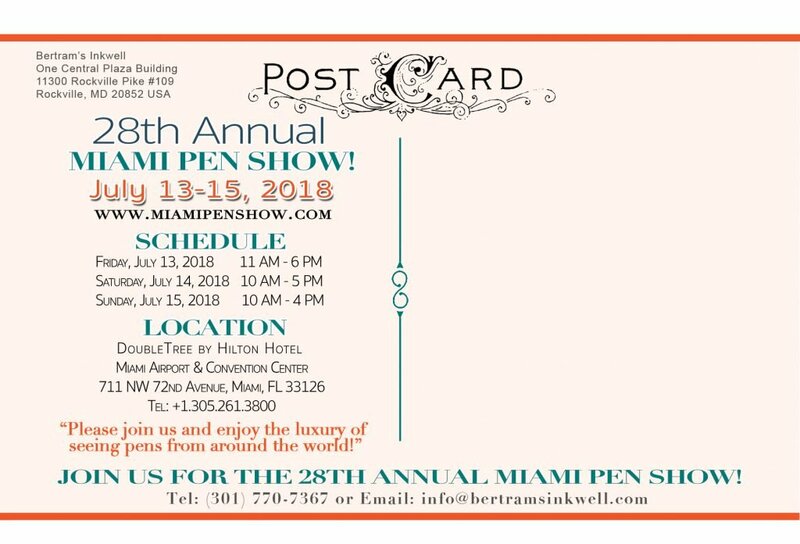 Just a quick update for those of you planning to go to the Miami Pen Show at the DoubleTree by Hilton Miami Airport & Convention Center in July. Press releases will be sent to media outlets in late June or early July, and we hope to get press coverage before and during the show. Social media is huge leading up to the show. In addition to postcards and email blasts going out to customers, we’ve got a strong presence on Facebook, Instagram, Twitter, etc. to publicize the show. 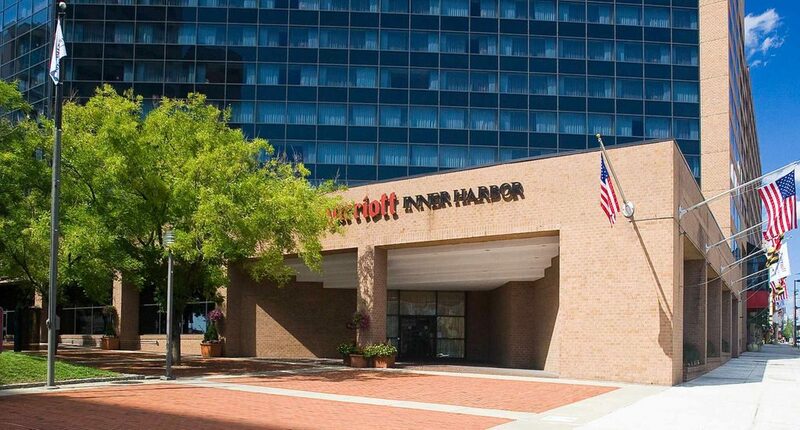 We have a substantial room block at the hotel at the great rate of $119 per night, ensuring everyone can get a room. 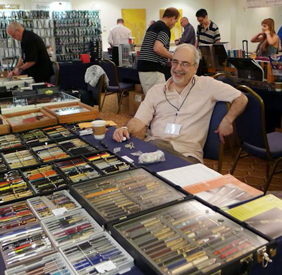 The dealers list is on the Miami Pen Show website. And if you are still deciding to attend, please consider this show. 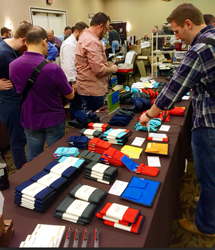 I have dealers coming from all across the USA, as well as all over the world, giving the Miami Pen show a truly international prominence. This will bring more attention to the show and more folks coming through the doors. 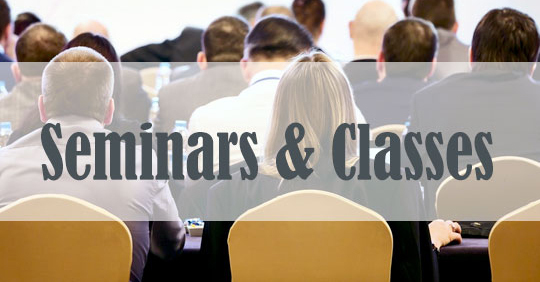 The show will have seminars, classes, and after-parties to keep attendees busy all weekend long. Stay tuned as we update the Miami Pen Show website with more details as they come! Also, I’d like to recognize the sponsors of the show – Opus Mechan, and Yafa Pen Company. Opus Mechan is a company represented by Dale Penkala. He has a background in machining, pen making, jewelry and watches. 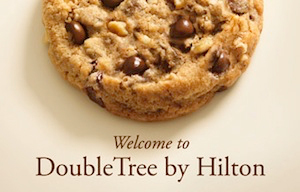 He has taken these talents and combined them to form a truly legendary brand. The Yafa Pen Company distributes and manufactures great brands like Marlen, Pineider, Stipula, Conklin, Hugo Boss, Online, Parafernalia and Monteverde. Yafa Brands – where a world of luxury and innovation become one! The Diplomat Company has been producing fine writing instruments since its founding in Germany in 1922. 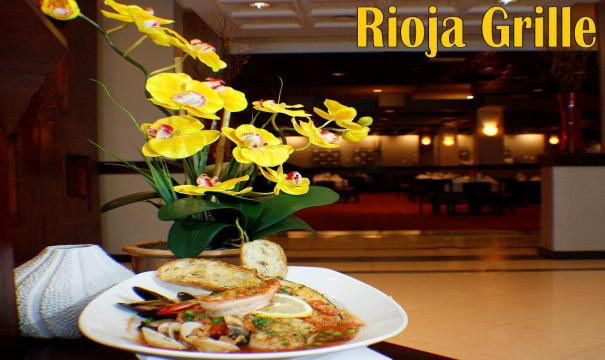 They have a wide range of products covering fountain pens, roller ball pens, mechanical pencils, and ballpoint pens. 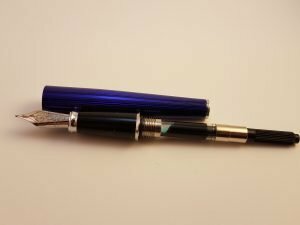 Today’s review is of the Diplomat Excellence A Skyline fountain pen with a medium nib. 10/10 Packaging: The pen comes in a white box with the black Diplomat logo on the front. 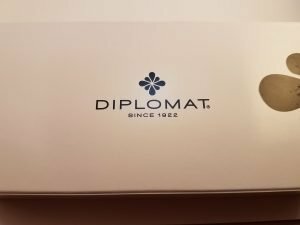 Inside is a smaller box with a grey metal sleeve, also with the “Diplomat since 1922” logo. The box contains the pen resting on a Diplomat branded satin pillow with a converter, ink cartridge, and service guide. 9/10 Design: The body and weight is perfectly balanced. There is a gradual taper from the back of the grip section to the bottom of the finial, which allows the cap to post very securely. Branding is very simple and somewhat understated on this pen. A Diplomat logo is on the cap finial and the cap brand is engraved, “Diplomat Since 1922 Made in Germany”. The pen comes with a stainless steel nib, but you have the option to upgrade to a 14K gold nib for about $100 more. Nib options for both the steel and gold nibs are Fine, Medium, and Bold, with Extra Fine coming shortly. There is a small stepdown from the body to the grip section. The grip section is smooth, but not slippery and is big enough to accommodate larger fingers. The only score down in the design is the clip, as it is very stiff and two hands are needed to clip it on thicker clothing. 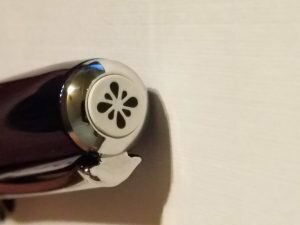 That being said, it has a simple design ending in an ink drop and it is still a very functional clip that keeps the pen firmly in place. The snap on cap closes securely and there is no concern of it coming off. 10/10 Nib Performance: This is the best steel nib I have ever written with! It is smooth as it dances across the paper and makes you want to write. 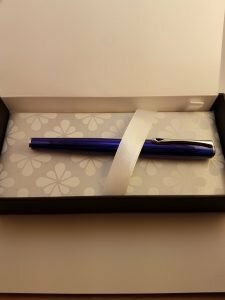 I allowed a few co-workers (both fountain pen users and first-timers) to try this pen and they all loved the way it wrote. Most asked if they could keep or borrow it for the day; however, I kept it all to myself J. 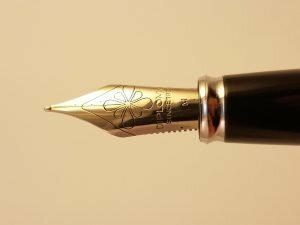 There is no breather hole on the nib, which I found interesting. It had simple branding on it as well, the Diplomat ink drop, “Diplomat since 1922”, and the letter M for medium. It writes well for reverse writing, but becomes a little scratchy. 9/10 Filling System: The pen uses a standard international piston converter, which is included with the pen and is branded with “Diplomat made in Germany”. It also comes with a standard international black ink cartridge. The body is metal and has metal threads so it is not possible to eyedropper the pen. The only score down comes from the push-in converter; I have become fond of threaded converters due to their added security against becoming dislodged and leaking. 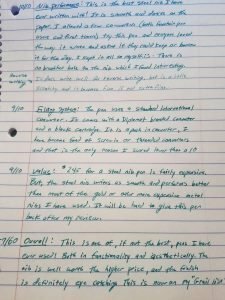 9/10 Value: A retail price of $245 for a steel nib pen is relatively expensive. 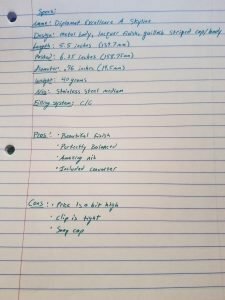 Nevertheless, I’d consider this a good value because the steel nib on this pen writes as smooth and performs better than most of the gold or other more expensive metal nibs I have used. The finish and design of the pen in spectacular and is definitely an attention-grabber. 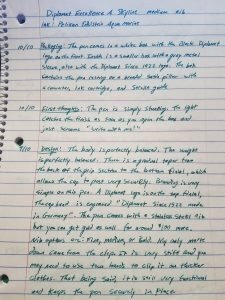 57/60 Overall: Finally, this is one of the best fountain pens I have ever used – due to both functionality and aesthetics! The perfectly tuned steel nib is well worth the higher price of the pen and the finish is definitely eye catching. 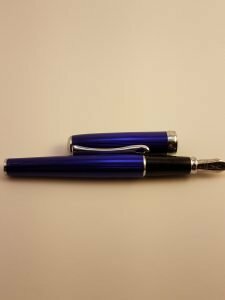 It will be really hard to give this Diplomat Excellence A Skyline fountain pen back after I finish my review, as it has quickly become one of my “Grail Pens”. Bertram’s Inkwell thanks Eric Aycock for his time and contribution with this wonderful review! 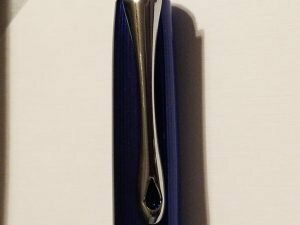 Check out the Diplomat Excellence A Skyline fountain pen here.